Japanese based investment and consultancy firm Emurgo VC are looking for blockchain Start-ups with a focus on emerging economies. The business works alongside two other entities under the Cardano umbrella – The Cardano Foundation and InputOutput. Started by Charles Hoskinson in 2015, Cardano’s group of companies all promote the same blockchain which is programmed in Haskell. Japanese based investment and consultancy firm Emurgo VC are looking for blockchain Start-ups with a focus on emerging economies. The business works alongside two other entities under the Cardano umbrella – The Cardano Foundation and InputOutput. Started by Charles Hoskinson in 2015, Cardano’s group of companies all promote the same blockchain which is programmed in Haskell. Recently, Cardano and InputOutput (IOHK) signed a Memorandum of Understanding (MoD) with the Ethiopian government to solve problems in the country. IOHK are also training Ethiopian software developers in the Haskell programming language. Emurgo takes an interest in new, exciting start-ups ready to build blockchain solutions on the Cardano framework. By doing this, they plan to scale the overall Cardano ecosystem in both the developed world and emerging economies. As well as funding, Emurgo connects early-stage ventures with enterprise clients looking for specific solutions. This is a real incentive for companies to join, as new clients create cash flow. Every team needs a place to develop and Emurgo’s ecosystem gives them the chance to work with other start-ups and share resources. By doing this they can grow big, they can grow fast and they can grow together. Emurgo already has their first co-working space opening in Hong Kong later this year. The Cardano Foundation hopes to create a more connected and equitable world through their technologies. 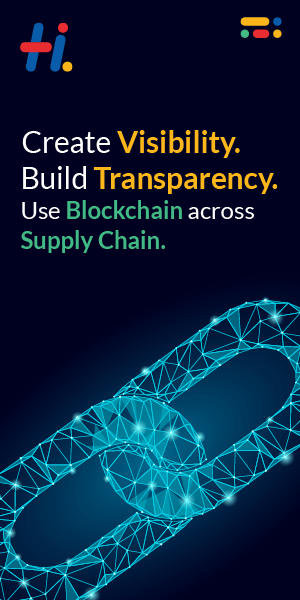 I have witnessed firsthand how DLT (distributed ledger technology) is adding value to supply chains in Africa. On a recent visit to the Moyee Coffee Roastery in Addis Ababa, I met with a team of people who take great pride in producing a sustainable and transparent brand through blockchain. Moyee work with a company called bext360 to track the coffee supply chain from bean to cup. IOHK plan to undertake a similar concept with the Ethiopian Government and it is projects like this that are of interest to Emurgo. Coffee has always been a cash-cow for Ethiopia but many improvements are needed to make the industry more profitable and sustainable. By creating cooperatives between farmers and running it all through a blockchain, IOHK hopes to see that change. Emurgo uses both equity and tokens when investing in early-stage companies. They are searching for teams with a proven concept and the ability to execute. The investment vehicle is sector agnostic and has a global mandate but at the same time is very interested in emerging markets, especially in Financial Services, Supply Chain, Public Sector and IoT (internet of things). To be eligible, start-ups and entrepreneurs need a working prototype built on the Cardano blockchain, a lean capital model, business plan/whitepaper and a committed team. Blockchain technology has the potential to make huge changes in the developing world, especially within financial services. Much of Africa is unbanked which makes it difficult for people to climb out of poverty. Although Ethiopia does have an up and coming middle class there are still vast amounts of people living on less than $2 a day. Through decentralized technology, citizens have the chance to create a better life as information, such as credit for example; can be stored more efficiently without being tampered with. As well as investing in new ventures, Emurgo also offers advisory services with research and development. Companies who are interested in the blockchain, or think the technology has a solution can approach Emurgo for expert knowledge. Anyone planning to hold an ICO (initial coin offering) can work with platform agnostic consultants who understand country-specific regulations and have years of experience in various sectors. Services include whitepaper development, promotion, blockchain education and communication with investors. My next trip to Addis Ababa is in September and I look forward to meeting the IOHK team. The average age of Ethiopia is 20 so with such a young and vibrant workforce there are many possibilities to build the economy by creating jobs in manufacturing and IT. Infrastructure in the country is improving year on year and the new Addis-Djibouti electric railway has sped up import/export so goods can leave and enter the country more efficiently. There are numerous opportunities for companies in Europe and America to work with African countries and blockchain technology makes that process far more transparent.